If you have men and boys (or even a big kid like myself) on your holiday list chances are video games are on their holiday wish list this year. I’ll admit that with all the games out these days I even have a few on my list! In our home we have a Wii, a Playstation 3 and I have my eye on the XBox 360 with Kinect. We love playing games together especially with all the great family friendly games that are available and we recently had the opportunity to review a family friendly video game myself, Cartoon Network Punch Time Explosion XL! We received this title for our Wii. 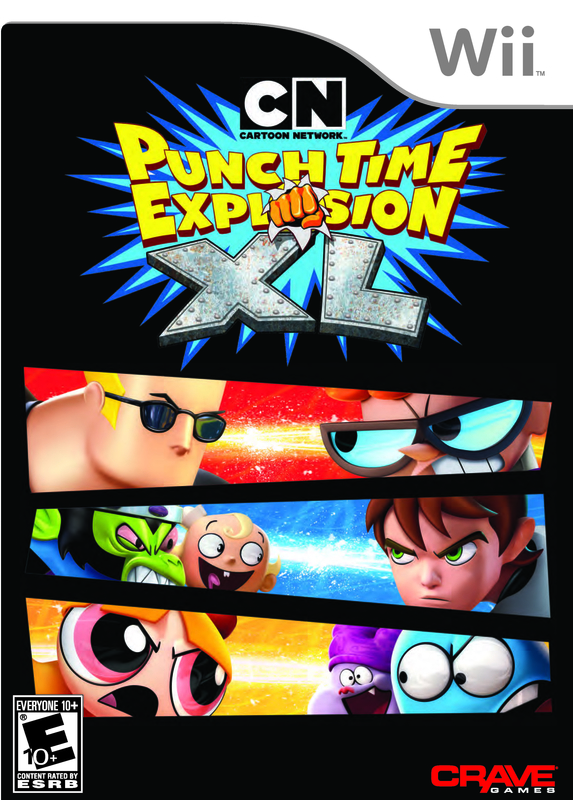 Punch Time Explosion XL features all your favorite characters from various Cartoon Network shows including Dexter from Dexters Labroatory, The Powderpuff Girls, Johnny Bravo and more. Kids will love being able to play as their favorite characters and it’s full of action and it has 2 playing modes – story and battle. In story mode you are taken through various levels defeating characters corrupted by evil Vigilax. I had fun in story mode going through each level and unlocking new characters along the way. Battle mode is tons of fun and you can play with up to 4 players battling one another as your favorite Cartoon Network character. I love being a Powderpuff Girl! 🙂 Cartoon Network Punch Time Explosion XL is a great family-friendly game that everyone (even mom and dad) will enjoy playing! Cartoon Network Punch Time Explosion XL is rated Everyone 10+ by the ESRB. Cartoon Network Punch Time Explosion XL is available for Xbox 360, Nintendo Wii, Nintendo 3DS and Playstation 3. Cartoon Punch Time Explosion XL is available to purchase at Target, Walmart, Gamestop and www.amazon.com for $29.99 for Wii and $39.99 for XBox 360 and Playstation 3. Cartoon Network Punch Time Explosion XL is giving one of my lucky readers a copy of Cartoon Network Punch Time Explosion XL in your choice for Wii, XBox 360 or Playstation 3! To enter fill out the Rafflecopter form below. Ends 12/29 at 11:59PM EST. We received Cartoon Network Punch Time Explosion XL for the purpose of this honest review. All thoughts and opinions are my own. This post was written by me and not edited by anyone. I would like to win the Holiday-joy-filled gift-guide cartoon-network -punch-time-explosion-xl for-wii-xbox.My gradson would love the games and i would appreciate the gifts also. Love to have it for the Xbox 360!